Precious metals are rarely used in their purest form but are usually alloyed with other metals for workability, durability, wearability. It isn't possible to detect an article's precious metal content by sight or touch. Therefore, it is a legal requirement for an Assay Office to hallmark articles containing precious metals if they are described as such. 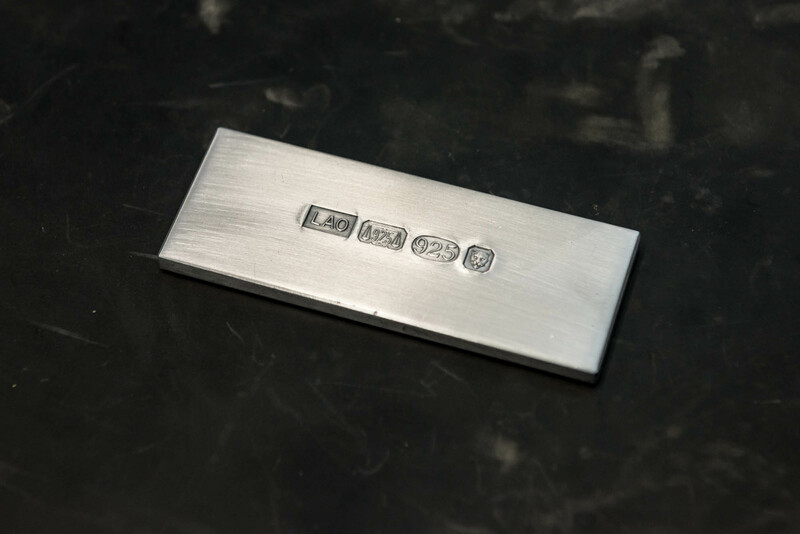 Hallmarks are marks applied to precious metals to indicate the amount of pure metal in the alloy. 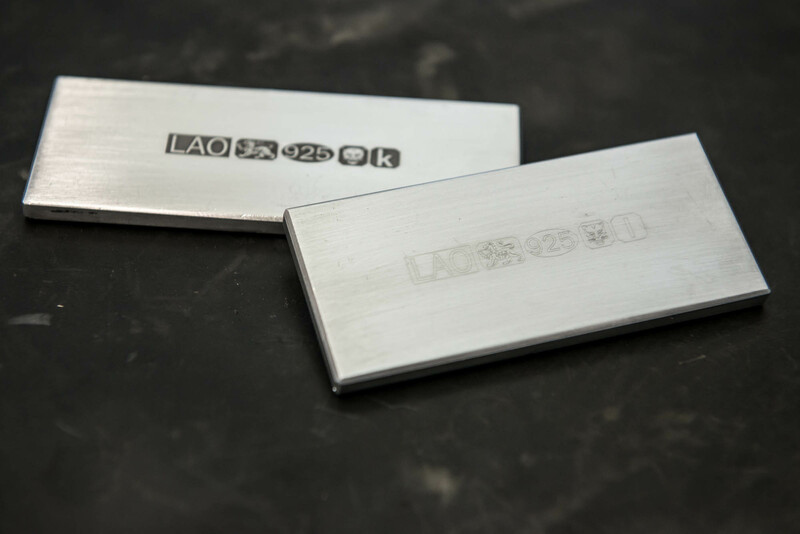 Traditionally applied by striking with a punch, hallmarks can now also be applied using lasers. Read more in Methods of Marking. There are four Assay Offices in the UK (London, Birmingham, Sheffield, Edinburgh) – none are Government run, and are private companies but overseen by the British hallmarking Council. The oldest Assay Offices are working from Royal Charters (London and Edinburgh). The Goldsmiths’ Company Assay Office began hallmarking in 1327 - the oldest UK Assay Office. Guarantees provenance by telling us, as a minimum legal requirement, where the piece was hallmarked, what the article is made from, and who sent the article for hallmarking. 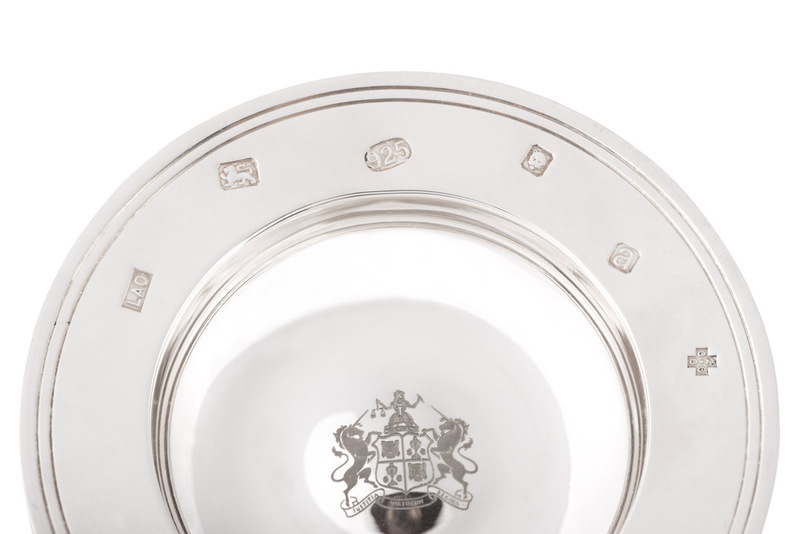 Read more about how to Trace a Hallmark, UK Hallmarks and Convention & Other Legal Marks. All four Assay Offices have a legislative remit to control standards of precious metal being sold in the UK. 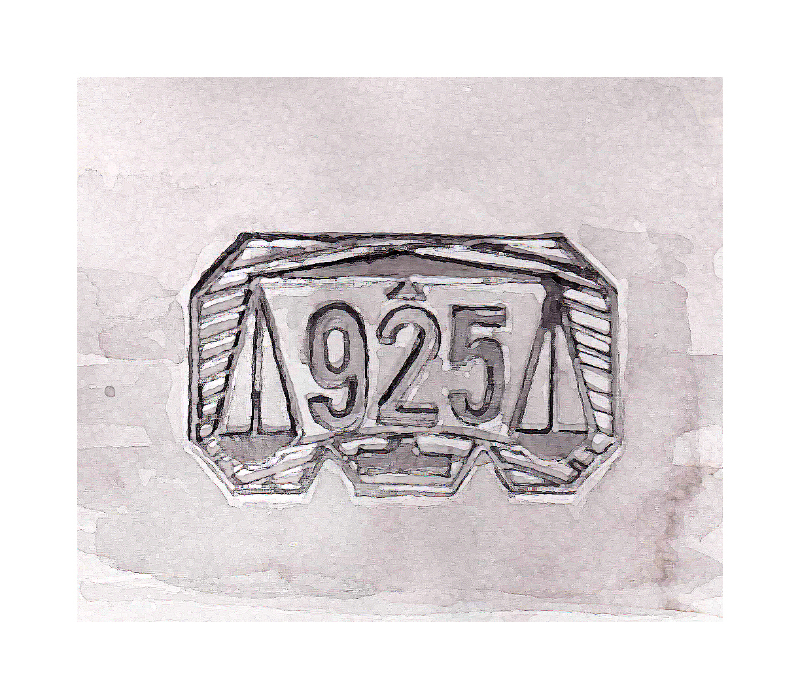 We do this by assaying (testing) the precious metal content, then applying the hallmark. It’s a legal requirement for silver over 7.78g, gold and palladium over 1g, and platinum over 0.5g to have a UK recognised hallmark. The UK Hallmarking Act (1973) states that it is an offence for any person, in the course of trade or business, to describe an un-hallmarked article as being wholly or partly made of precious metal(s) or to supply un-hallmarked articles to which such a description is applied. Dealers are required to display on their premises the statutory notice which describes the approved hallmarks. It is an offence for any dealer to fail to exhibit or keep exhibited the notice. 'Dealer' means a person engaged in the business of making, supplying, selling (including selling by auction) or exchanging articles of precious metal or in other dealings in such articles. The Dealers' Notice can be downloaded here or alternatively a stylish display hard copy can be purchased for £10 (if you collect it) or £15 (to include P&P). To order call us on 020 7606 8971 or email us. Simply, it's the law. For further information and advice please contact us. Read about our Assistance to Trading Standards here. What Does a Hallmark Look Like? The normal mark formation applied which we apply is a horizontal mark with minimal spacing between the marks. 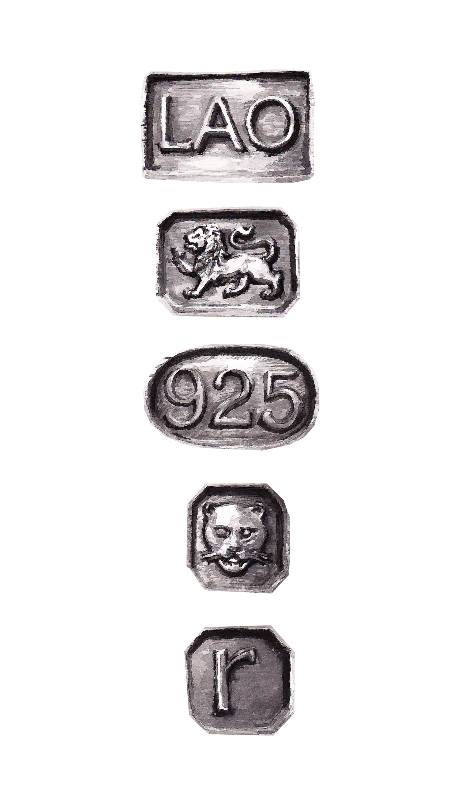 The standard size for jewellery hallmarks are 0.5mm, 0.75mm, or 1mm in height. 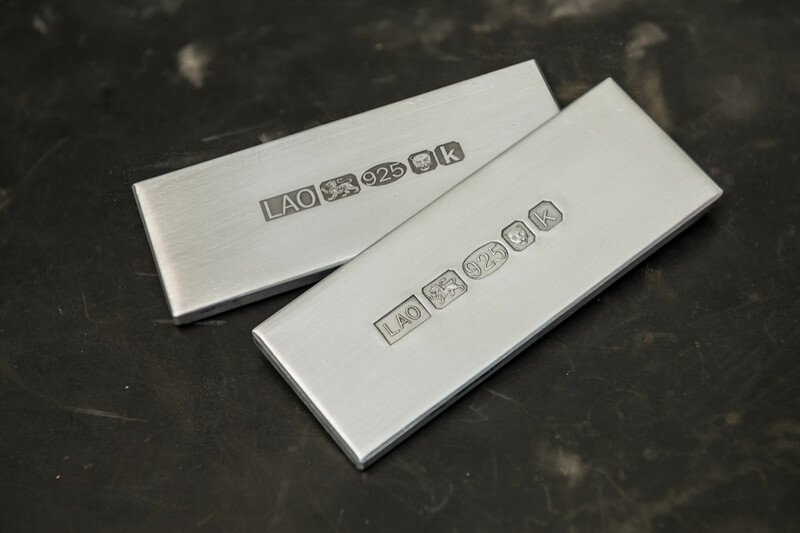 The standard size for silverware hallmarks are 0.5mm, 0.75mm, 1mm, 1.25mm, 1.50mm, 1.75mm, or 2mm in height. Other formations of these hallmarks (‘feature marks’) are available. These cost extra to apply due to the time to plot the hallmarks, and mark the article. Our Standard Price List is available here. 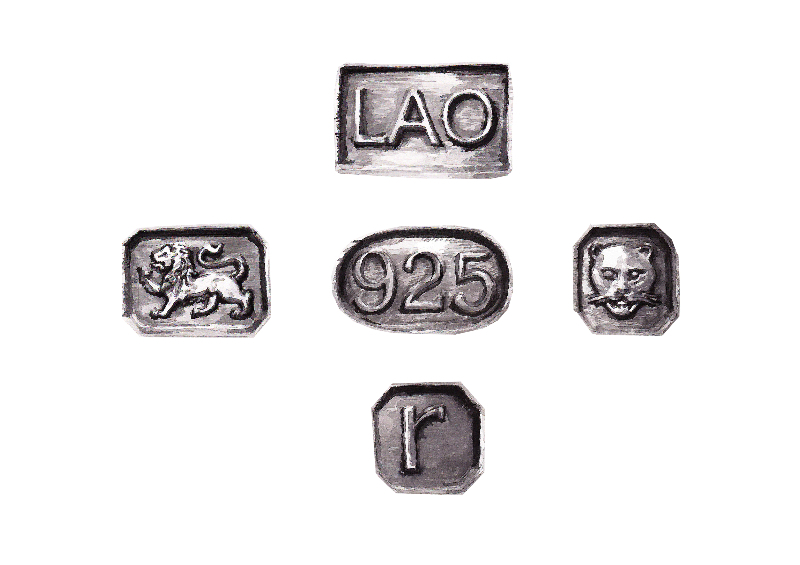 Large hallmarks (above 0.75mm in height on a ring, or 1.5mm in height on another article) are considered display/feature marks. Further details and formations can be found in our Hallmarking Services download, available here. Also shown in our carousel of images below. In addition, click here to view some contemporary works proudly bearing a display mark.